On behalf of the Center for Biological Diversity and Defenders of Wildlife, today Earthjustice filed a notice of intent to sue the Trump administration for failing to protect oceanic whitetip sharks and giant manta rays from being killed by longlines and huge nets used by U.S. fishermen in Atlantic fisheries. Defenders petitioned the National Marine Fisheries Service to list the oceanic whitetip shark and giant manta ray under the Endangered Species Act in 2015. The agency listed the shark and ray as threatened last year, triggering the agency’s obligation to consider conservation measures to protect the species from federal actions when authorizing U.S. fisheries. Today’s notice letter to the Fisheries Service says officials have not completed required consultations when authorizing fisheries managed under the Atlantic Highly Migratory Species Fishery Management Plan. The Endangered Species Act requires consultations to ensure that federal actions do not unduly harm protected species. The agency has not completed these consultations on the pelagic longline (which targets tuna, swordfish and other species), shark drift gillnet or shark bottom longline fisheries — all of which harm oceanic whitetip sharks and giant manta rays and have contributed to the species’ declines. The giant manta ray, with a wingspan that can reach 29 feet, has suffered population declines of up to 95% in some places due to commercial fishing. Similarly, scientists have estimated substantial declines in oceanic whitetip sharks in the Atlantic Ocean, including an 88% decline in the Gulf of Mexico due to commercial fishing. Reducing the primary threat to these species, commercial fishing, is key to their survival and recovery. Giant manta rays and oceanic whitetip sharks are intentionally hunted in other countries — the sharks for their large fins and the manta rays for their gills, both prized for Asian medicines and cuisine — and are often swept up as bycatch by U.S. fisheries. Gillnets have been called “walls of death” for the harm they do to a variety of marine species. Atlantic longlines can be up to 45 miles long, with hundreds of baited hooks. A peer-reviewed study by Center scientists released in January found most marine species listed under the Endangered Species Act are recovering. Listed species with critical habitat protections and those listed for more than 20 years are most likely to be rebounding. In February 2019, Defenders and the Center also sent a detailed technical letter to the agency urging it to designate critical habitat for the giant manta ray in U.S. waters. How to Protect Your Car from Hail Damage Without parking??? The sight of your beloved car being wrecked by a hail storm is certainly not pleasant. In some cases, heartbreaking. Especially, when it cost you a fortune. So, what can you do to escape the devastating wrath of the hail-storm? With some simple steps, you can escape the terrible fury of this white monster AKA hail-storm. Following are some of the tips that you can follow to safeguard your car against hail storm. There is an old (and gold) saying that precaution is better than prevention. No matter who said that, but they are damn right. The knowledge of a hail storm prior to the event will give you enough time to take appropriate precautions. Florida manatee deaths rose significantly in 2018. 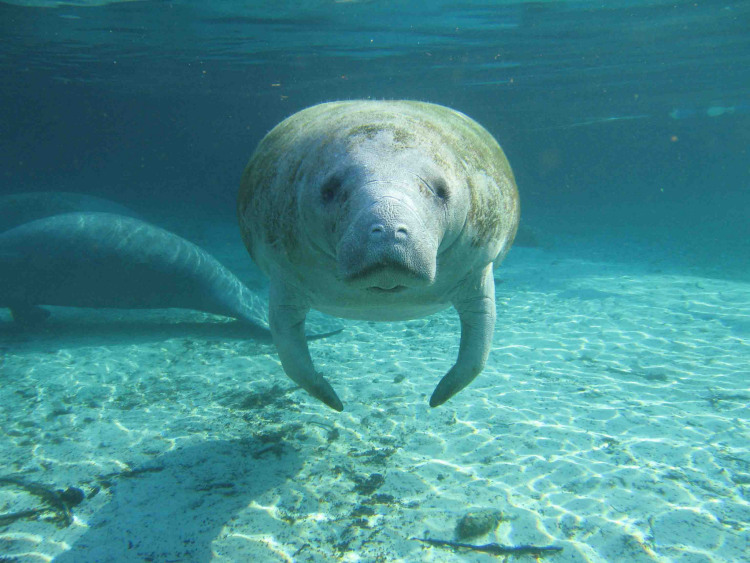 Here’s Looking at You Kid – Meet a Florida Manatee by the U.S. Geological Survey. Public Domain. Here’s a heart-breaking story by John R. Platt and Dipika Kadaba of The Revelator. It turns out that 824 Florida manatees died last year, almost 50% more than in 2017. Those 824 mortalities (deaths) represent 13% of the Florida manatee population, and many of them were caused by people – either directly or indirectly. The Revelator released a video that goes into more detail about why so many manatees died last year. Click below to watch it, and be sure to visit this link for the original story. Video by The Revelator about the dramatic rise in Florida manatee mortalities in 2018. Fewer than 100 Gulf of Mexico Bryde’s whales remain in the wild. Without immediate protections, they will disappear from the face of the Earth. Sign this petition to protect these majestic mammals. The Animal Welfare Institute (AWI) strongly opposes Iceland’s decision Tuesday to establish a base whaling quota of 209 fin whales and 217 minke whales annually from 2019 to 2023. Due to this misguided regulation, Iceland’s image as a nature tourism destination could face irreparable damage. Iceland’s Minister of Fisheries Kristján Þór Júlíusson based his decision, in part, on a macroeconomic review of Icelandic whaling released by the University of Iceland’s Institute of Economics in late January 2019. This review is an unsound document that does not provide a complete or accurate assessment of the impacts of whaling on Iceland’s economy, image and fisheries. Iceland’s base whaling quota remains unchanged from last year, but it is still unclear if a carryover quota will increase the overall quota moving forward. Icelandic whaling quotas are not approved by the International Whaling Commission (IWC), the only appropriate international organization responsible for the conservation and management of whales. Furthermore, commercial whaling is inherently cruel, unsustainable and impossible to regulate. AWI advocates for an end to commercial whaling, including Iceland’s unprofitable and unnecessary whaling industry. The town of Novaya Zemlya has had quite a week: 50 starved polar bears have invaded their small Russian town looking for food! People in the town are both scared and excited. They get to see polar bears up close, which is really cool, but some of them have tried to enter people’s homes. The fear is that, even though polar bears are a protected species, people who feel scared and trapped will act out and kill the animals. Sign now to make sure Russian officials do everything they can to keep the polar bears safe and humanely remove them from the town! One particular garbage in the town seems to be the biggest draw for them, so officials may just try to move that. They are also discussing sedating and relocating them, but that would likely be expensive, difficult and very stressful to the bears who just wanted something to eat. Polar bears have lost so much from climate change. They are born on land but then spend most of their lives in the water or on ice barges, which are melting rapidly. Experts believe the polar bears have invaded the town because their habitat and food (seals) are disappearing due to climate change. Locals have declared a state of emergency. Now we just need to be sure that they don’t harm the polar bears in trying to get them out of this town. Please sign on demanding that authorities do not use fatal force to evacuate the polar bears! White Tip desktop background, retrieved from https://www.sharkwater.com/photo-gallery/. Given that I’ve just spent a year of my life studying wildlife television, and that I consider myself a connoisseur of wildlife films and TV, I’ve decided to start reviewing nature-based films and television programs. This first review concerns Sharkwater: Extinction by the late Rob Stewart. The global shark and ray population is in serious trouble, but, thankfully, legislators in Hawaii are currently considering doing more to protect these creatures in state waters. Currently there’s a bill that would make it a misdemeanor (with up to a $10,000 fine) for killing, capturing or abusing sharks and rays. Sign the petition if you want this important conservation bill to become law! 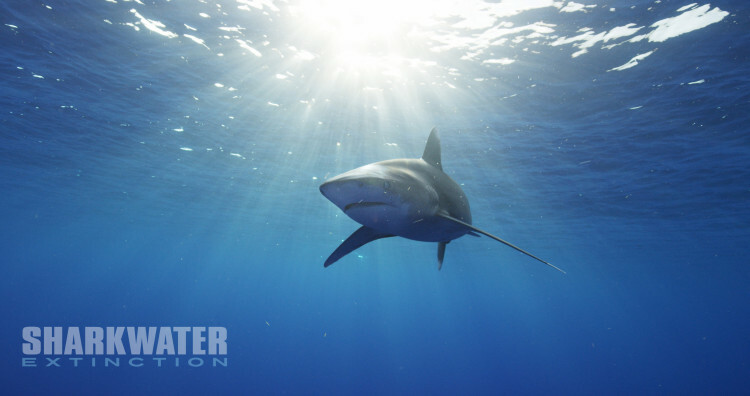 Sharks and rays need full protection under the law, for their benefit and for the health of our oceans. Rep. Nicole Lowen, who chairs the House Environmental Protection and Energy Committee said, “As apex predators, sharks and rays help to keep the ocean ecosystem in balance, and protecting them from unnecessary harm is essential to the health of our coral reefs.”Beyond being good for the ocean’s ecosystem, there is also just no excuse for people killing these animals. We don’t need to do it and we shouldn’t put up with needless animal killing. Similar legislation has cleared the state Senate before, but now it’s up to the state House to keep House Bill 808 alive. State Rep. Chris Lee, head of the House Judiciary Committee must give the legislation a hearing by the end of the week in order to keep the ocean ecosystem thriving. That’s why he and other Hawaiian legislators need to hear from us now! Let Hawaii be an example of conservation stewardship for the world to emulate. Sign on if you want this bill to pass to protect sharks and rays fully! In the Disney movie “Finding Dory,” audiences fell in love with the scene-stealing octopus named Hank who helped the main character escape from an aquarium. While octopus can’t talk or drive cars, they have been known to be incredible escape artists who often leave fisherman or aquarium workers scratching their heads, wondering where their catch has gone. That’s because the cephalopod is extremely intelligent. They are capable of figuring out complex puzzles, planning attacks, memorizing landscapes and using tools to survive. This intelligence has convinced many who study the animal that it isn’t just smart, but possibly a conscious being. In order to make any sort of octopus farming profitable, farmers would either have to keep them in small individual tanks or in large enclosures which held multiple animals. But according to a new study that analyzes the costs of the proposed project: “Octopuses are solitary, carnivorous animals badly suited to captivity. Confined in tiny cages, they suffer and die; confined together, they kill each other.” Neither way would likely be up to the humane treatment standards most nations expect their food to be raised. But it’s not just the idea of factory farming yet another animal — and a smart one at that — that is troubling. The side effects of factory farming octopuses could be our seas as a whole. Just as we exploit thousands of acres of land to produce feed for our cows, industrial farms would require tons of wild caught shellfish and other food for their animals. So quite opposite from relieving the stress on our oceans, it could actually increase it. Sign the Petition: More Than a Hundred Whales, Orcas and Belugas are Being Held in Tiny Closures on Russia’s Pacific Coast in the City of Nakodka. More than 100 whales – orcas and belugas – are being held in tiny enclosures on Russia’s Pacific Coast in the city of Nakhodka. This is the largest number of sea creatures to ever be held in small temporary enclosures. Some of them have been there since July. Marine mammal experts claim that those animals were being sold to Chinese aquariums, despite the fact that legally they are only supposed to be used for scientific and educational work. In China there are thousands of millions of dollars to be made on these whales. There are currently 11 orcas, 5 baby walrus and 90 baby belugas held in these enclosures.15 of the belugas are yearlings that are completely dependent on the mothers for survival. Yearlings need to be in constant tactile contact with a parent – in case of danger their mother will fight to the death to keep them alive. Capturing whales this young is banned in Russia. The export of these marine mammals has finally been stopped but the problem now is that these animals are stuck in “whale prison” whilst the authorities try to find the perpetrators and work out the right procedural decision to take. Independent experts are seriously worried that the animals will die if they are kept in these conditions much longer. Whale babies who have not received enough mother’s milk will not survive the winter. These Orca’s need to be released into their natural habitat. The belugas need to be transferred to responsible people that will feed them, rehabilitate them and release them into their natural habitat when they are ready. Japan announced December 26 that it was pulling out of the International Whaling Commission (IWC). “We have decided to withdraw from the International Whaling Commission in order to resume commercial whaling in July next year,” Japanese Cabinet Chief Secretary Yoshihide Suga told reporters. Commercial whaling has been illegal since 1986, but Japan has flouted the ban several times. Now the country is declaring that it is leaving the IWC in order to pursue the slaughter of whales. This is a barbaric and destructive practice. If you agree, please sign my petition urging Japan to return to the IWC and not resume whaling for profit. On October 24th, 2018, Canada finally passed the S-203 bill which outlaws the capturing of whales and dolphins, and placing them into captivity. Happy to hear this news, I researched the action that the US is taking with this unheeded issue, and it did not come as a surprise to me when I essentially found nothing beyond outdated petitions and articles only discussing the status of the matter. We need to guarantee the protection of these animals, rather than valuing the immoral cooperations that house them. The primary laws governing the facilities housing orca whales are the Animal Welfare Act and the Marine Mammal Protection Act, which only serve to ensure a permit and regulations of the animal and its “environment”. Yet there are still no laws in place to ban the cruel capturing and imprisonment of orcas and other cetaceans in the United States. Since 1961, SeaWorld has taken in over 156 orcas into captivity, and of those 156 whales, 129 of them have died in the span of 58 years. In the wild, however, orcas have a life expectancy of about 50 to 90 years old, while most of these SeaWorld orcas only live to see about 15 or 25 years old, if that. As of right now, SeaWorld continues to hold over 21 orcas in their three parks in the United States, and while each of the parks have said to discontinue the orca performances, these animals are still being held in concrete tanks each day for hours at a time, driving them to the point of insanity. Though over the last few years, SeaWorld have responded to the backlash of their controversial reputation, they have only made minuscule improvements in a problem that is larger than they know. If the capturing of cetaceans continues, the species will only become more endangered and the orca population, as we know it, will ultimately cease to exist. It is time to finally free these innocent and beautiful animals. Japan reportedly plans to resume cruel commercial whaling, putting millions of these vulnerable creatures at risk. Japan is responsible for a good portion of the near-genocide of whales, despite having been part of the IWC for over 60 years. Sign this petition to demand they remain in this organization, and stop their whaling for good. Forty-two years old and one of the last of his kind: now this awe-inspiring elephant is no more, a victim of the park he called home. Demand the removal of dangerous structures that killed one park elephant and endanger many more. It turns out the ubiquitous talcom powder that Johnson and Johnson has been selling for decades is deadly. It can cause cancer and respiratory problems because it has asbestos in it. Worse yet, the company knew about this since the 1970s and continued to sell the product that is used largely on children. Sign now if you think Johnson and Johnson should do more to make up for the way this product harmed people.Parents used their baby powder on children for diaper rash and other ailments. No one would knowingly put something potentially toxic on their child. Johnson and Johnson spent 40 years misleading the public and hiding the results of internal testing on their product. They could start a fund to help people suffering from afflictions caused by the product, or any number of other actions to try to atone for this horrible thing. One way or another, they must be held accountable. There are thousands of lawsuits in the works but doing the right thing because you have to and because you should are two different things. If Johnson and Johnson ever wants to be trusted by the public again, they must do more. Please sign on to tell them to take responsibility, apologize and take action to help people they harmed before a court tells them to. In June, the U.S. House of Representatives passed H.R. 2083, giving certain state governments and Native American tribes the right to kill up to 100 sea lions at a time. But without a similar Senate bill, these marine mammals were relatively safe. But their reprieve may be coming to an end. Last week, the U.S. Senate passed a similar bill which brings the sea lion slaughter even closer to reality. Why, despite the celebrated protections of the Marine Mammal Protection Act (MMPA), would our government allow state and tribal governments to kill up to 1000 sea lions a year? Well according to some “experts,” sea lions in the Columbia River basin are the principal threat to the wild salmon population in the area. Wild salmon have recently been added to the Endangered Species List. Congress, then, wants to cull the Columbia River sea lions which prey on the salmon, believing that will improve salmon stock. In fact, the problem isn’t the seal lion population, it’s — you guessed it — us! While Congress focuses on faulty science pointing the finger at this incredible marine mammal, most researchers place the blame squarely on humans. Because salmon are spread so far and wide, it’s impossible to name all issues, but researchers have been able to sum up their main challenges as the “Four Hs” — harvest, hatcheries, habitat and hydropower. None of those have anything to do with seal lions. Humans are taking too many salmon in their annual harvest. Salmon fisheries are diluting the wild salmon gene pool. Their habitat is degrading due to logging, agricultural practices, dumping and oil spills all pose a threat to their survival and dams creating hydropower block their passage from spawning grounds to the sea. It is wrong-headed and short-sighted to focus on sea lions when we are the real problem. Instead of killing thousands of the marine mammals Congress should pass legislation curtailing the problems caused by the four Hs. Anything else is irresponsible. Sadly, future park-goers will never catch a glimpse of Spitfire. The Montana Department of Fish, Wildlife and Parks just confirmed that she was cruelly killed by a trophy hunter. What’s even worse is that her murder was completely legal. Spitfire had wandered just outside of the park, where she was no longer protected. The grey-headed flying fox used to number in the millions in the southwestern state of Victoria, Australia, but that was years ago. Now the megabat’s numbers are in decline as they increasingly fight for a place to find food and shelter. The enormous bat has evolved to stand a fighting chance when facing one of its natural threats like eagles and snakes. But there is one thing their millions of years of evolution hasn’t prepared them for — tree nets. Human encroachment in the form of development has not only taken over all urban areas but is now expanding outwards, toppling trees and stealing vital habitat where the bats used to forage for fruit and nest. So much so that bats have turned to fruit trees and orchards in the cities and suburbs just to find a meal. But many homeowners cover their fruit trees with wide-hold nets to protect their fruit. These nets tangle, maim and kill countless bats every year. Bats don’t have hands to help them break loose, so as they struggle to free themselves the nets often tighten around them. Wildlife Victoria alone says they have gotten nearly 80 cases of bat entanglements just this year. Stuck in a net, rope slowly tightening around your neck, slowly starving is a horrible way to die. The worst part is animal advocates say all this suffering is unnecessary. There are wildlife-friendly netting options available. These nets go tightly over the tree and provide fewer chances for a bat to get trapped. Another option is fruit socks which can go around individual fruits. Socks might even be more ideal because you can protect some fruit and leave others to share with the bats. The bottom line is that the widespread use of the bat-killing wide-holed nets is putting even more pressure on the survival of this extremely important species. There are safer options that don’t put the flying fox at risk. The government must ban the use of these nets, especially since there are bat safe alternatives. Sign this petition and ask the Parliament of Victoria and Wildlife Victoria to ban the use of wide-holed bat-killing nets. Who’s the latest casualty of Trump’s horrendous war on asylum-seekers at the U.S.-Mexico border? Butterflies. That’s right, his already stupid border wall idea is now projected to plow down a butterfly sancutary! Please sign this petition to save the butterflies! Is nothing sacred anymore? The Supreme Court just upheld a ruling saying that Trump can bypass 28 federal laws (including the Endangered Species Act, the Safe Drinking Water Act, and the Clean Air Act) for his ridiculous border wall. The butterfly sanctuary is home to 200 species of butterlies. Plus, the sanctuary serves as a crucial stopping place during migration for the “King of Butterflies,” the Monarch butterfly, which is in so much danger right now thanks to human pollution. The wall would literally require bulldozing most of this land and splitting the rest up, not allowing the sanctuary to grow new plants that are required to save the butterflies. The wall would even be too high for some birds and butterflies to get over, thus cutting them off completely! As for the human effect in this specific area in Texas, there would be extreme flooding and humans would be cut off from their water supplies. We are living in a nightmare world and we won’t get to wake up without intense activism. Please add your voice to this call for some kindness, reason and a check on an administration that is running amuck with anti-science, anti-environment and anti-wildlife policies and rhetoric. Congress doesn’t have to fund the dumb wall — that’s why every American must tell their representative to say no on what could be one of the silliest solutions to a non-existent problem ever to be brought to the floor (and that’s saying something). Sign this petition to tell Congress that these beautiful and endangered butterflies are just the latest reason NOT to build a dang wall. Failed inspections. Birds with no access to food or water. Illegally imported sloths and capybaras. Animals stored in basements. Eels, stingrays and octopuses dead from mismanaged waters. Those are just some of the horrors from SeaQuest Interactive Aquarium’s checkered past. Unfortunately, despite ample evidence of cruelty and neglect at various SeaQuest locations across the country, Fort Lauderdale, Fla., is poised to open a new location at The Galleria mall. But it’s not too late to stop it! Please sign this petition urging the city of Fort Lauderdale to deny SeaQuest’s plans and prevent them from opening a new location. Keeping animals captive is stressful enough for animals, but when you add abuse and neglect, it’s downright cruel. At SeaQuest’s Portland location, more than 200 animals have died from “starvation, infections, a power outage, attacks by incompatible tank mates, getting caught in drain screens, being hit by falling rocks, escaping from their tanks” — all causes that were avoidable with just a little bit of care. On top of completely disregarding the animals, SeaQuest CEO Vince Covino and his brother Ammon Covino both have a complete disregard for the law when it comes to their dealings with aquarium management. Vince has a history of investment violations, while Ammon has repeatedly been in trouble with the law for illegally buying animals and selling them to aquariums. SeaQuest is a disastrous business that openly exploits and abused animals with only its bottom line in mind. We must stop another location from opening. Please sign this petition demanding that Fort Lauderdale stop SeaQuest Interactive Aquarium from opening now. Tires are killing our forests. Natural rubber is grown on plantations around the world and 70% of that rubber is used in tires. Unfortunately, without significant changes to the way rubber is harvested, natural forests the world over are in danger. That means no habitat for endangered animals like the tiger, and it means more threat from climate change. Tire companies, like Michelin, are putting forward a platform that claims to be a global solution to support deforestation-free rubber. The only problem? They’re not going far enough. Rather than a real, long-term solution, these companies are heading towards greenwashing. We can’t let them get away with it. That’s why we’re putting pressure on these companies to do more. But we can’t do it alone. Mighty Earth has launched an international campaign to hold tire companies accountable. Will you join us as we urge these corporations to do more to stop deforestation? The production of rubber is a growing driver of deforestation across Africa and Southeast Asia. The natural rubber used in tires endangers animals like gibbons and elephants, and forces people off of the lands they’ve lived on for generations. Deforestation also causes massive amounts of carbon emissions and, at a time when urgent action is needed to avoid the worst effects of climate change, corporations must step up to the plate and lead where governments are failing. Michelin, as one of the largest tire companies in the world, is in a unique position to lead the world into a future where deforestation and natural rubber production are no longer intertwined. With our climate, vital ecosystems, and human rights at stake, it is essential that the tire industry — as the largest consumer of rubber worldwide — act to address this issue on a global scale. Unfortunately, current attempts by the tire industry to adopt a global platform on sustainable natural rubber leaves key stakeholders, like non-governmental organizations and small-scale farmers, out of the decision-making room. This approach, bolstered by the Tire Industry Project, of which Michelin is a member, threatens progress and would certainly lead to greenwashing and even more destruction. The time for action is now. Michelin has already demonstrated a commitment to addressing this issue. We urge you to take the next step to ensure this global platform’s success by taking a stand against greenwashing.